The falls in the upper reaches of Dungeon Ghyll look superb. 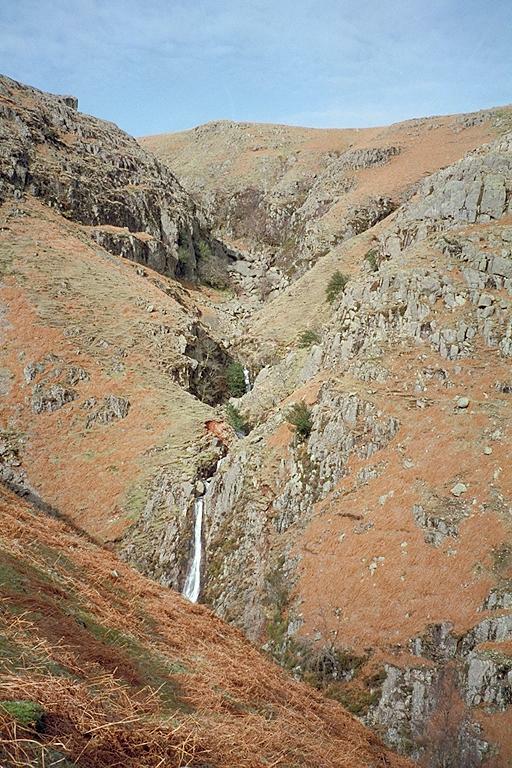 There is a path up through most of the Ghyll: it can be seen here to the left of the foremost waterfall. Smaller version of this picture.